Do you wish language barriers didn’t exist? 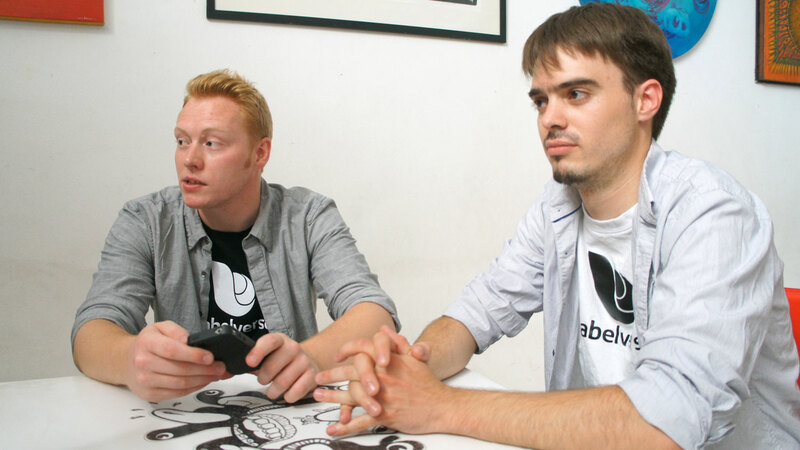 Well, the young startup Babelverse hopes to make them disappear, thanks to its online community of remote interpreters. After a few months in private testing, it is now ready to launch its public beta version on stage during TNW Conference, where it is participating in TNW BizSpark Beta Startup Rally. Interestingly, Babelverse itself is quite a melting pot. Its co-founders Josef Dunne, who is British, and Mayel de Borniol, who is French, met while living in Greece. This gave them a good glimpse of translation issues on a daily basis, but the story doesn’t stop here. After starting out during Startup Weekend Athens, the pair got the opportunity to head to Latin America and develop their product as part of Start-Up Chile‘s acceleration program (see our story ‘Start-Up Chile’s Entrustet Acquired‘). In practical terms, Babelverse caters to two types of users: human interpreters willing to monetize their language skills and individuals looking for affordable on-demand interpretation. As of today, multilingual speakers and professional interpreters can sign up to find translation gigs that fit their schedule. All they have to do is to fill in a detailed profile, including their languages, dialects and accents, as well as the topics of terminology they master. As for users, they can request the interpretation in their native language of any video content on the web, such as TED Talk but also any YouTube or Vimeo video. If you are interested in trying this feature out, you can click on the “request interpretation” page on Babelverse’s new homepage or click on this link. Dunne and de Borniol aren’t the only ones to believe in Babelverse’s potential. Earlier this year, it won the third place in LeWeb’s startup competition and the second place in PulsoStartup10, which focuses on Latin America’s top startups. While the startup has been bootstrapping so far, thanks to the $40k grant it received from the Chilean government, it is now getting ready to raise funds. After 8 months in South America, the team has now moved to London, where it hopes to make the most of Europe’s linguistic diversity. Follow all of our coverage of The Next Web Conference here.